Raise your hand if this winter made you feel like a bird trapped in a cage! Where is spring? I captured a bit of spring in this shabby chic cloche that I made. 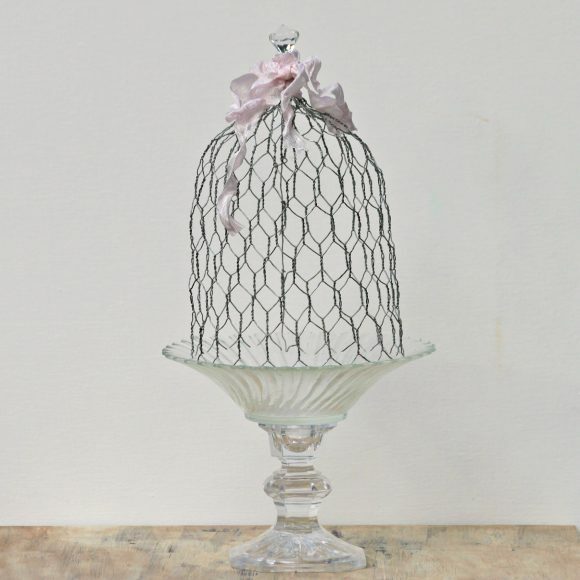 Using a candle stick and candle holder from Dollar Tree, along with some chicken wire scrap, I was inexpensively put together this pretty little cloche. Step one: Glue the dish to the candlestick. 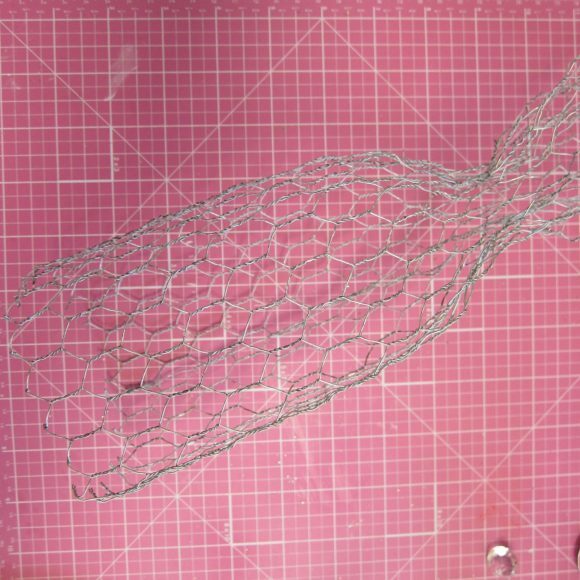 Step two: Measure the chicken wire to fit on the dish. Cut it and twist the ends to make a tube. 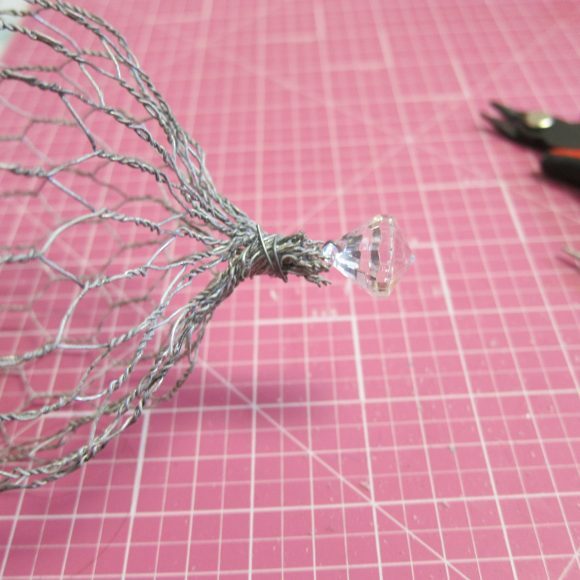 Step three: Pinch the wire tube to make the desired size for the cloche. It’s easier to use pliers to twist it together. Cut off the excess. Step four: Glue or wire a gem onto the pinched end to use as a handle. I hid the twisted wire with a piece of ribbon. Step five: Place the bird’s nest on the dish and decorate with a battery operated candle, eggs, etc. 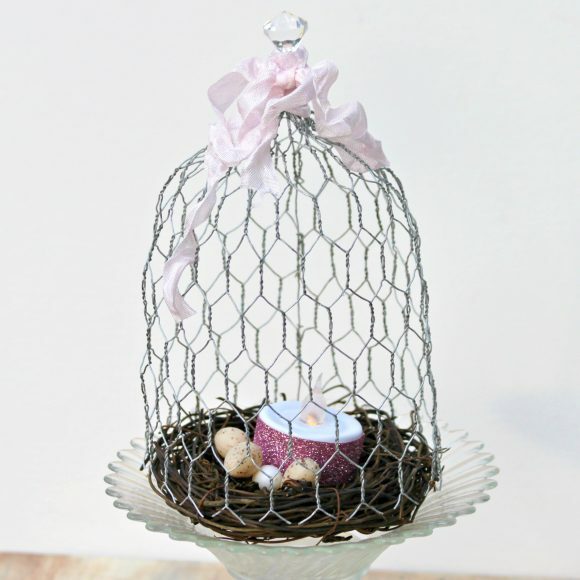 I found the bird’s nest at Dollar Tree, and they also had some mini feathered bird figures that would look cute in the cloche. You could simply put a candle inside, a photo, a cup cake that you don’t want anyone to touch….the choice is yours! Have fun crafting and creating! So nice! 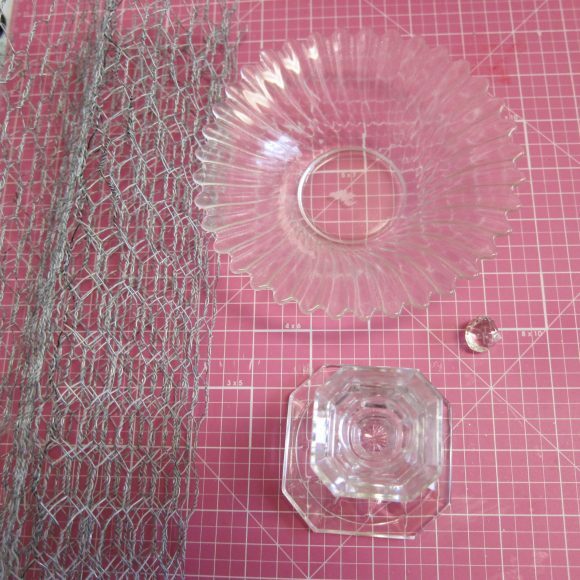 I loooove how you did the top, what a cute finial finish and perfect hiding of the wire tie. It’s hard to get chicken wire to make a dome, color me impressed! 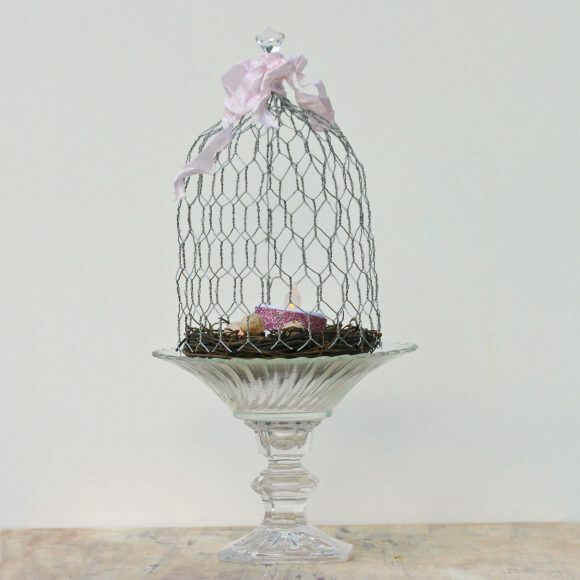 What a clever alternative to a traditional glass cloche! 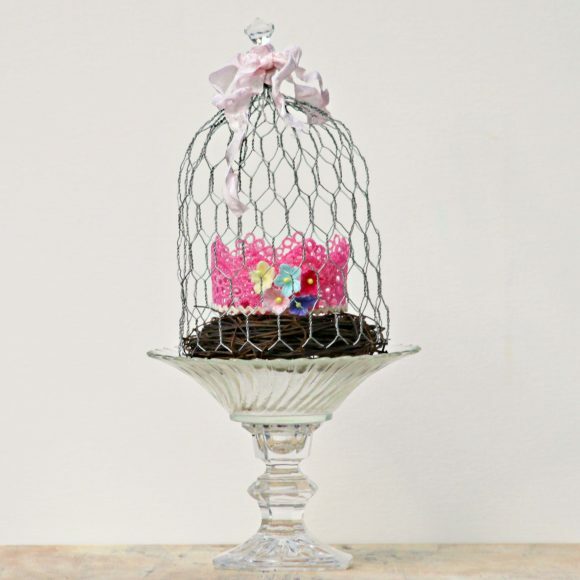 I love how the chicken wire adds a touch of whimsy to something that is usually more formal in appearance. This is ADORABLE!! I love it!! Thank you for sharing and so creative! !